When I initially thought about sharing details of some of the wonderful producers we have right on our doorstep here…. I think I counted 15 within a few minutes. That list has got longer and longer. I’ve neglected sharing details of any of them with you for too long. And, of course, in that list I never thought about telling you about our own product. Doh! 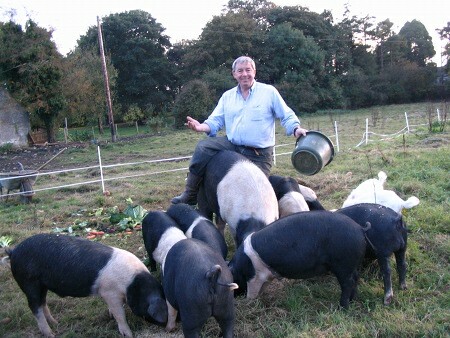 So, today, as I kick-start this part of the blog, I am letting Alfie tell you about how we came to be pig farmers and pork producers. Can you tell me about the background to Oldfarm Pork? How did it all start? Oldfarm Pork started by accident and necessity. Due to redundancies and lack of employment in our locality another source of income had to be found. As we were already rearing pigs for our own and family members table, it seemed like a logical thing to try to find markets for the type of pork that we were raising. It was a rapid learning curve, when I mixed some young boars with young gilts [informed that pregnancy was not possible at their age.. WRONG] 52 piglets born in less than a week certainly focuses one’s mind on “what do I do now’. So we started a web site to promote the meat and I suppose the type of lifestyle we lead. People seemed to be impressed with our ethos and care regarding clean food and its provenance. What are you main business areas? 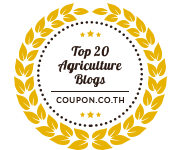 Raising and selling our pork and bacon products, and as a side to this running training courses on raising your own pigs. There are more and more people considering the option of raising their own food. Isn’t it wonderful to see this? Who do you supply to? How can customers get your products? Our customers are mainly private households who buy direct from us online, then we organize delivery via a courier service. A small number of restaurants order from us as well. Mud, lack of cash flow, not enough land. Over the years there have been many different hurdles thrown our way. While we grow our pigs in a totally organic way, using locally sourced, ethically grown feed… the cost of registering as ‘organic’ would add tremendously to our costs, which would then add to the cost of the meat. We have opted to stay with ‘free-range’. We were delighted to be the first (and I believe still the only) pork producers to attain ‘free-range’ approval from Bord Bia – The Irish Food Board for our pork. We also used to do all the deliveries ourselves which was a great way to meet our customers, but with the constant increases in fuel costs this had to be reviewed. So for the past 18 months we have been using a courier service which has it’s ups and downs but overall works quite well. Increase our customer base, obtain more land, more added value products. I am sure there is some other challenge just around the corner that we will have to overcome. It is the nature of business. How important is social media to your organisation? Vital.. as its direct access to customers, at a personnel level. We use our website, this blog, Facebook, Twitter, YouTube, Instagram and Pinterest. Some platforms we use more than others, but they all help to raise our profile and increase awareness of what we do. I love hearing how small businesses and artist an products like yours evolve. Delighted it’s going well so far and hope the expansion goes well.